Leading Chinese telecommunications equipment manufacturer Huawei Technologies is taking the initiative to protect its lawful business interests in Europe, as the company reportedly threatened to sue the Czech security authority over a warning issued by the latter, Chinese analysts said on Tuesday. The move was seen as part of a broad pushback by the firm in Europe, where several countries have said they will not exclude Chinese telecoms equipment providers from their bids for telecoms infrastructure, including the fifth-generation network, despite US lobbying for a ban on products and services provided by Chinese firms. Analysts said the step taken by Huawei is in marked difference to the company's traditionally passive way of denying cyber security concerns. According to a letter dated February 1, Huawei's executive in the Czech Republic said the country's National Cyber Security Center had failed to provide any specific evidence of wrongdoing in a December warning, in which the agency said software and hardware of Huawei and ZTE posed a security threat. The warning has caused losses for Huawei in sales and brand reputation, and the company has called on Czech officials to revoke the warning or it will bring the matter to court after a Thursday deadline, according to a New York Times report. The Czech action is not alone. Last week, Huawei sent a letter to the British Parliament defending its track record. "The company may be dissatisfied with the effects of its traditional way of response to alleged security concerns, and may be doing a new type of response by taking legal action," Li Yi, a senior research fellow at the Internet Research Center under the Shanghai Academy of Social Sciences, told the Global Times. Li said that by taking legal action, the company is taking a method widely used by the international community to defend its interests, and could force relevant parties to "sit down for talks." Huawei has been involved in many legal cases, but they were mostly over intellectual property issues. "Huawei apparently doesn't want to watch itself be driven out of the Central and East European market piece by piece following the arrest of a company executive in Poland over alleged espionage and the prospect of being excluded from the Polish market," said Li, noting that regional markets matter a lot to telecoms service providers. "What's more, a successful European market is the hallmark of Huawei's international success," Li said. Experts said US influence and its efforts to suppress Chinese telecoms companies are behind what's happening in Europe. US Secretary of State Mike Pompeo said on Monday during a visit to Budapest, Hungary that the presence of Huawei complicates the country's partnership with the US. Earlier, US ambassador to the EU Gordon Sondland made a similar warning. But the US message was not well received in Italy, Germany and France, according to media reports. 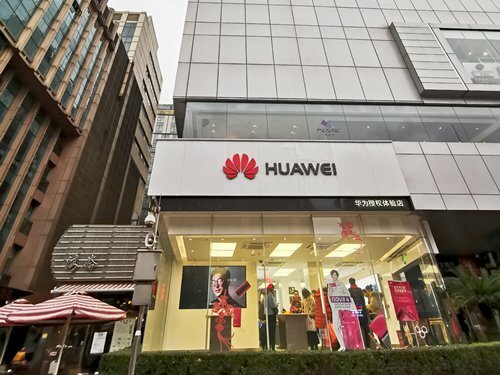 Zhao Junjie, a research fellow at the Chinese Academy of Social Sciences' Institute of European Studies, told the Global Times on Tuesday that Huawei has become a victim of political maneuvers. "Huawei is a very successful Chinese private company operating a successful and growing business in Europe. Unfortunately, that fact has caused it to fall into the crosshairs of the US and its 'active' allies in Europe," Zhao said. "But one thing is certain, the Chinese government will not watch its private sector flagship being bullied in overseas markets based on groundless claims," Zhao noted. Chinese Foreign Ministry spokesperson Hua Chunying at a Tuesday press conference said that US actions using all kinds of state apparatus to suppress and block Chinese high-tech companies are unjust and immoral and totally unfit for a major world power. For Huawei, to defend its lawful business interests will be a protracted war that will need to be fought case by case with patience and handled with skill, Zhao said.